Movie Time! Gerund or Infinitive? 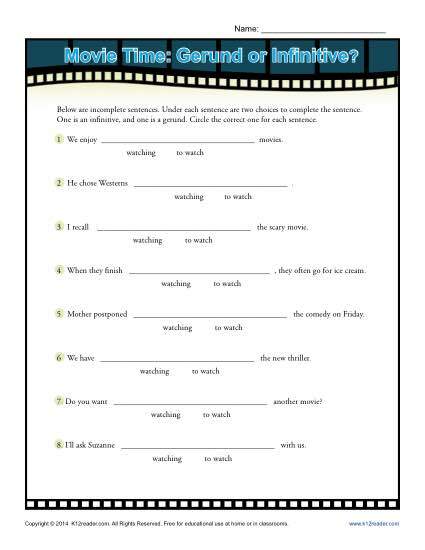 The spotlight is on gerunds vs. infinitives in this movie-themed worksheet! Your student will decide which verbal is correct for each sentence. Either as a practice for Common Core Standards for Language for 8th grade or as a drill for other students, it will help your student be a star!